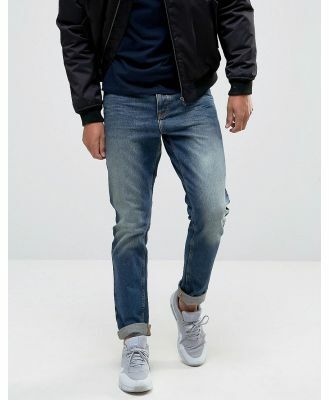 Slim jeans by Farah Vintage, Soft stretch denim, Concealed zip fly, Five pocket styling, Slim fit - cut closely to the body, Machine wash, 97% Cotton, 3% Elastane, Our model wears a 32/81 cm regular and is 185.5cm/6'1 tall. From their birth in the 1920s, Farah Vintage has been adopted by subcultures across the board; from Mods to Skins and Rockabillies. Renowned for their classic canvas slacks and sharply cut tailoring, Farah Vintage retains its heritage across a collection of slim fitting polo shirts and checked flannel shirts.